Dr. Fitzgerald is a Prosthodontists with three years of additional training in an accredited university and hospital-based post-graduate program, after five years in dental school. 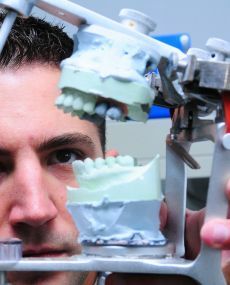 Just like some doctors train to become consultants in a certain discipline, a prosthodontist is a dentist who has trained and been tested for at least 3 extra years full time to gain experience, knowledge and artistic skills to carry out crowns, bridges, veneers, implants and dentures to the highest standards. 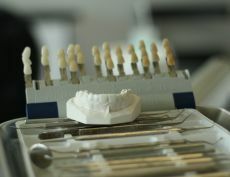 Prosthodontics is the only dental speciality recognized by the American Dental Association and General Dental Council in the UK devoted to restoring and replacing teeth. Prosthodontists offer state-of-the-art aesthetic and restorative procedures including implants, porcelain veneers, crowns, bridges, metal-free fillings, aesthetic well fitting dentures and complete oral rehabilitation. Prosthodontists are specialists in restoring and replacing cracked, broken or missing teeth. They are dedicated to resolving difficult, complex and even life- long dental problems. Prosthodontists are cosmetic dentistry specialists. A Prosthodontist can coordinate and plan complete mouth reconstructions.